Military’s use propaganda or misinformation, to lie to and confuse their enemies. Satan uses the exact same tactic in his war on Christians. Ephisians 6 11 Put on the whole armour of God, that ye may be able to stand against the wiles of the devil.12 For we wrestle not against flesh and blood, but against principalities, against powers, against the rulers of the darkness of this world, against spiritual wickedness in high places. Spiritual warfare is conducted in the minds of the believer. Satan’s worst fear is for the body of Christ to know who we are, and the power and authority we have received. 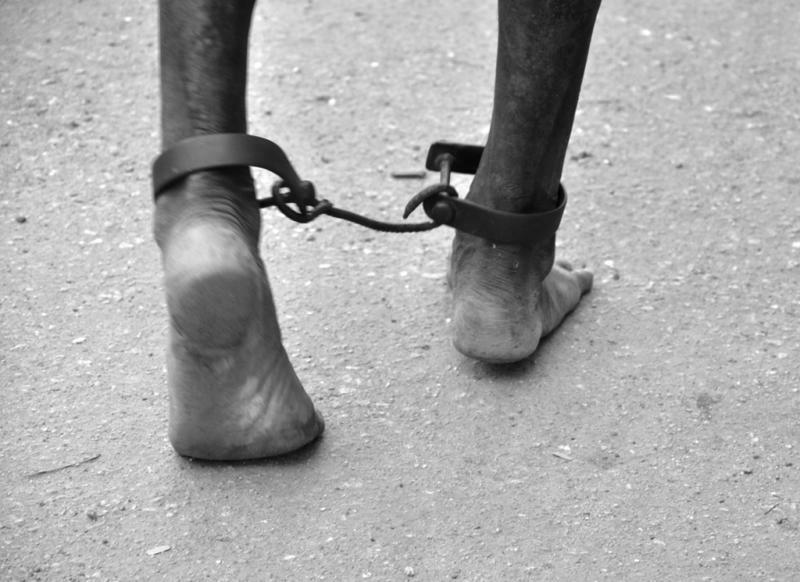 It’s as though he has put chains and shackles on us, to prevent us from living the life God wants us to live. How can we set ourselves free from these locks and chains? Simply by knowing and believing the word of God. John 8: 31 Then said Jesus to those Jews which believed on him, If ye continue in my word, then are ye my disciples indeed;32 And ye shall know the truth, and the truth shall make you free. Jesus knew that Satan was wandering about, enslaving all that would listen to him. And the whole world has listened to his lies, even the church of God. Satan is referred to as the god of this world. 2 Corinthians 4: 4 In whom the god of this world hath blinded the minds of them which believe not, lest the light of the glorious gospel of Christ, who is the image of God, should shine unto them. This verse indicates Satan has blinded the minds of those who listen to his lies. So we see that anyone who listens to Satan and his lies, is bound and blinded. It is extremely difficult to live any type of meaningful life in such a condition. Jesus died on the cross to win the victory against Satan and his devils, for us. Satan is as defeated as Germany or Japan in the final days of WWII. But Satan wanders about, either distracting us from our victory by the lust of the flesh, and the lust of the eyes, and the pride of life, or by telling us we have not won, we are lowly and defeated. Therefore by either distraction, or disinformation, we live our lives to a much lesser extent then God would have us live. We need to know all the good promises of God, and proclaim them in victory! 2 Corinthians 1: 20 For all the promises of God in him are yea, and in him Amen, unto the glory of God by us. All God’s promises are YES, in Jesus. If you read a promise of God, in his word, do not let Satan lie to you, and tell you it is not true. If you read you are healed, believe you are healed. If you read you can move mountains, believe you can move mountains. If you read you can heal the sick, cleanse the leper, cast out demons, and raise the dead in Jesus name, believe it! Numbers 23: 19 God is not a man, that he should lie; neither the son of man, that he should repent: hath he said, and shall he not do it? or hath he spoken, and shall he not make it good? Lets stop believing Satan’s lies and propaganda, and believe as little children, the word of God. ← How do we get to heaven?